Cricket requires pretty significant scratching sessions every day. She jumps onto my chest while I’m sleeping or reading, and stands tall on all four legs, and if I don’t get the message quickly enough, she paws or noses my face or my hand to get things started. Usually, just because I think I’ve been thorough does not mean the session is over. And she lets me know I’ve been precipitate by scratching at my hand or face again, climbing off my chest to find the errant hand if necessary. She seems to know that extra scratchies make her brain feel better and make her whole self more relaxed. She makes a point of moving around to make different points available. First, her face itches. 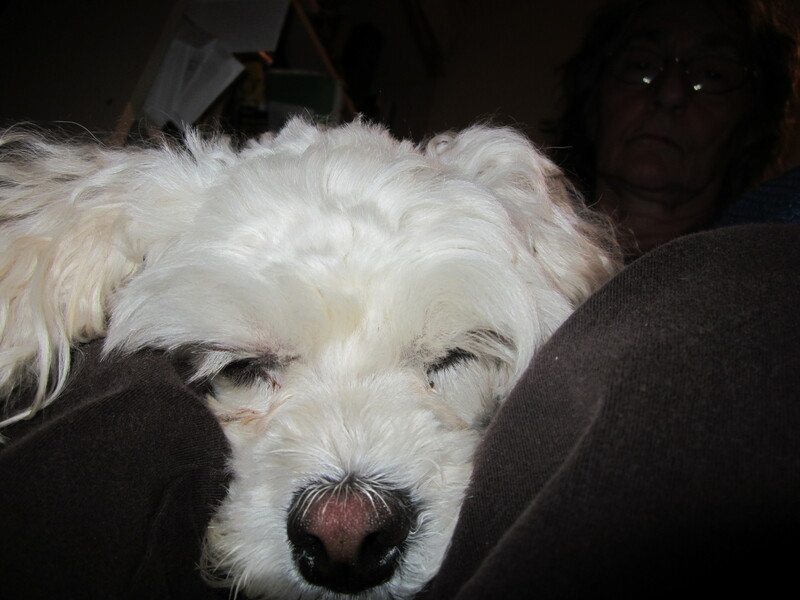 She has allergies, so under her eyes and around her nose and near her ears all need extensive scratching. Then the top of her head and around her neck. Then she’ll lie back and lift one arm so her chest is available to be scratched. She does not like her feet touched. This is an important rule. Her back and sides need scratching next. Then I stretch her ears and rotate them a bit. I stretch her arms up and do some hamstring and quad stretches. She can go forty five minutes, at last count, though it’s been a while since I’ve had the patience to do such a thorough job. If she’s standing on her own four feet, she tends to walk forward, about an inch at a time, like she’s walking though a car wash to make sure every inch gets thoroughly scratched. Cricket would be a perfect candidate for a full on massage session, with candles and oils and soft music, as long as no one goes near her toes or her ears or tries to remove poop or eye goop. I worry that Cricket is especially itchy. She gets a runny nose during allergy season and scratches her head on my sheets while making a kind of desperate foghorn sort of noise. It’s almost as if she’s sneezing and barking and crying all at once, and I can hear her paws scratching fiendishly. I’m surprised my sheets have lasted so well, really, with all the time she spends trying to dig through to the mattress. I never had a dog who sat on my lap and asked for scratchies this much. Sometimes I think she’s very attached to her people, and in need of a lot of love and affection from us, but then other times, I think she’s just damned itchy and looking for some relief. 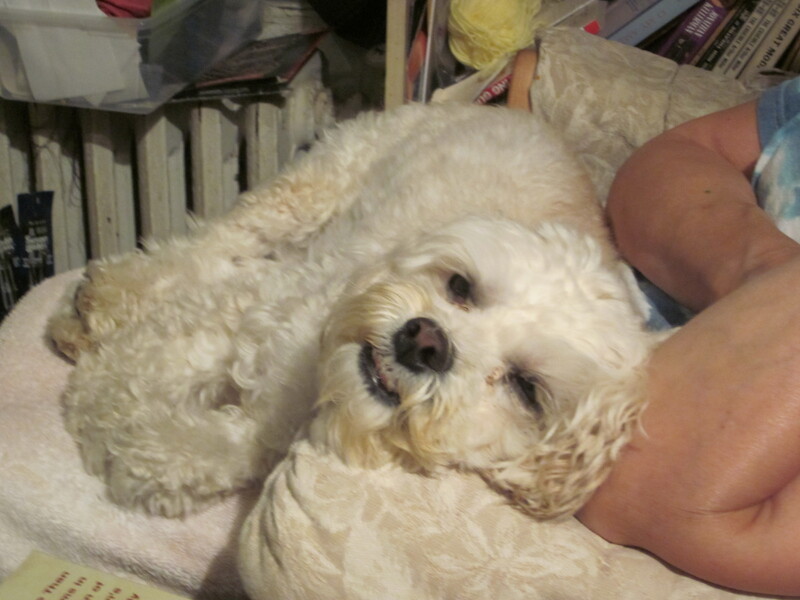 Posted in dogs, memoir and tagged allergies, dogs, love, massage, memoir, scratching, stretching. Bookmark the permalink. 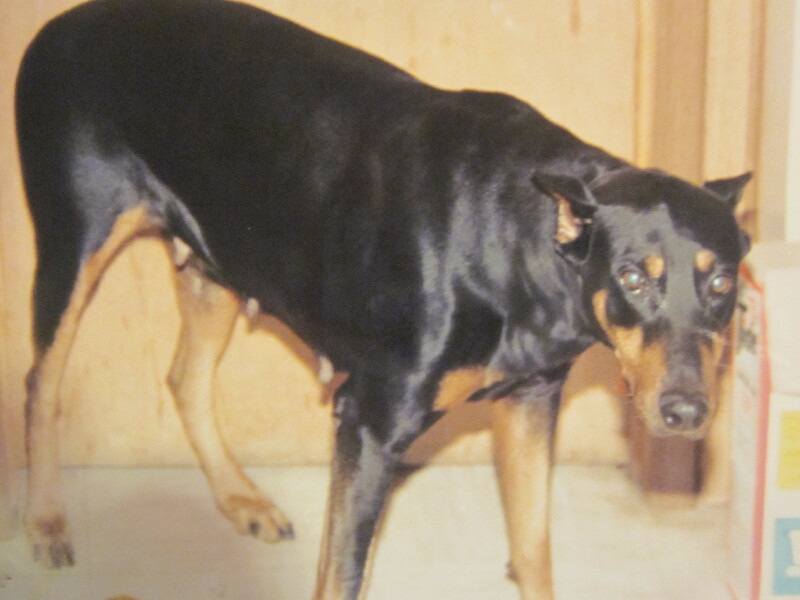 Delilah was a pure bred Doberman Pinscher. We adopted her from a breeder when I was six or seven years old on the condition that her first litter would go back to the breeder (and he would supply the stud and medical care). My father fed her from the table and spoke to her in German, but she liked to sleep on my bed in the afternoons, after barking at strangers passing by all day. She had a job, though, and that was to get pregnant as soon as her body was ready. Mom woke me up when Delilah went into labor. I think it was sunrise or shortly afterwards, because the rays of the sun were shooting through the windows in the little vestibule between the kitchen and the dining room. The vestibule was just the right size for Delilah, her puppies, Mom, my brother, and me. I remember Delilah breathing heavily, panting, with sweat dripping from her tongue. She had a kind of crazed look on her face, but very serious, especially after each bag of puppy slid out of her. The bags were grayish brown and slimy, but Delilah was conscientious about freeing each puppy from its cocoon, and cleaning it thoroughly so it could start to breathe and walk freely. Suddenly, Delilah was a warrior. Any attempt to get close to her puppies without her permission and she’d bare her teeth and growl. At around six weeks, the puppies were sent to the breeder for a medical visit. My father brought me with him to the breeder’s workshop to pick them up. I got there just in time to see a row of puppy tails on the work bench, unattached to the puppies. They had their ears wired up as well, with what looked like copper wire laced through each ear like a long row of earrings. The puppies were warm, squeaky and cuddly, and when my parents brought them back to the breeder for good at eight weeks old, I was sad, but I wasn’t heart broken. I’d thought of them as borrowed, from the beginning. The second litter of puppies was different. My father thought he could make money as a breeder on his own. He paid the original breeder a stud fee, and then the resulting puppies were ours to sell, free and clear. My brother and I were away at sleep away camp during the pregnancy and arrived home a few days after the puppies were born. My father made sure to tell us that there had been eight puppies originally, but that Delilah had rolled onto one and killed it. 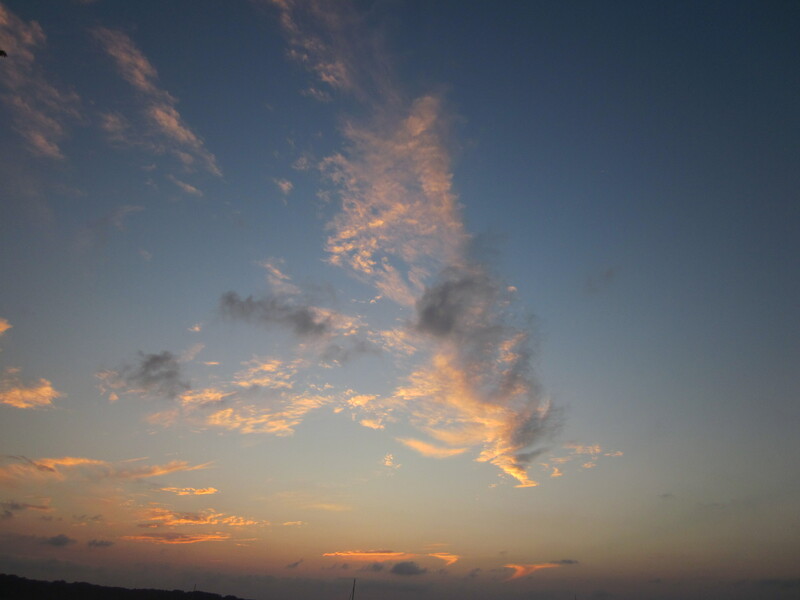 When I repeated the story to my mother recently, she said no, it was a still birth. Delilah didn’t kill her own baby, why would you think that? But Delilah did, supposedly, leave a mark on the foot of one of the seven puppies, a boy, and I named him Wounder. I believed the story – that Delilah had stepped on him, and wounded him – and somehow, in my nine year old brain, that transposed into “Wounder.” Maybe I was trying to combine the two things I saw in him, “wound” and “wonder.” But the final version resonated as more meaningful to me, even then, before I’d ever heard of a Freudian slip. Mom put an ad in the paper after a few more weeks, and people came by to look at the puppies. But no one bought them. Maybe it was because we weren’t registered breeders or the paperwork wasn’t good enough, or we were asking for too much money. My father was angry that the puppies didn’t magically sell themselves, and he abdicated responsibility for them. 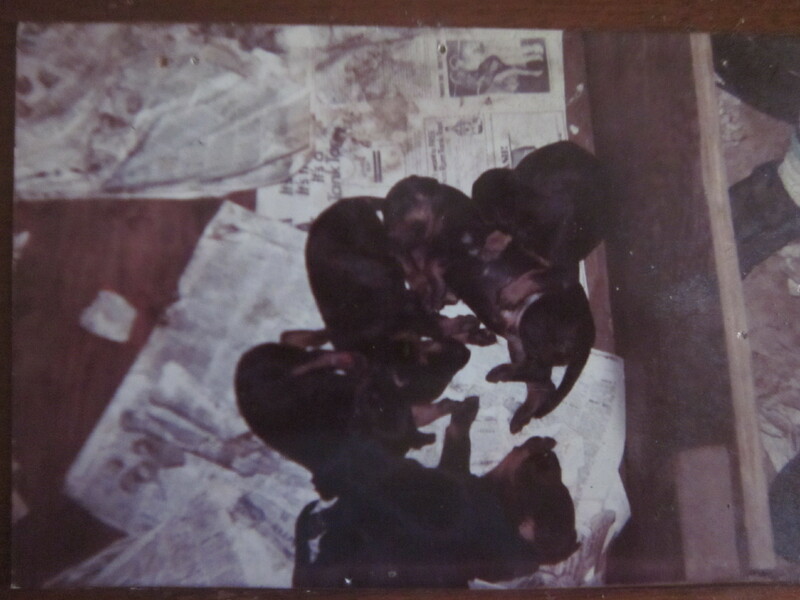 Eventually my mother had to bring the puppies to the animal shelter to be adopted out, because, she said, we just couldn’t keep eight full grown Doberman Pinschers in one house. The shelter took all of the puppies but one, Wounder. They said he was too rambunctious, climbing on counters and showing them he was boss. I loved that about him. I was sure that my father would have to let me keep Wounder now, but he said no. We couldn’t have an un-neutered son and his un-spayed mother in the same house, and my father refused to have either of them fixed, so Wounder would have to go. My mother tried to find him a home, but no one would take him, even for free. She had to take him to the pound, where, I knew, they put unadoptable dogs down after a specified period of time. I was told that he was adopted from there, but I’m not sure I believe that. Delilah went back to sleeping on my bed every afternoon and barking at strangers who came to the door. But I never forgot Wounder, and I don’t think Delilah forgot him or the rest of her puppies either. They were her babies, after all. 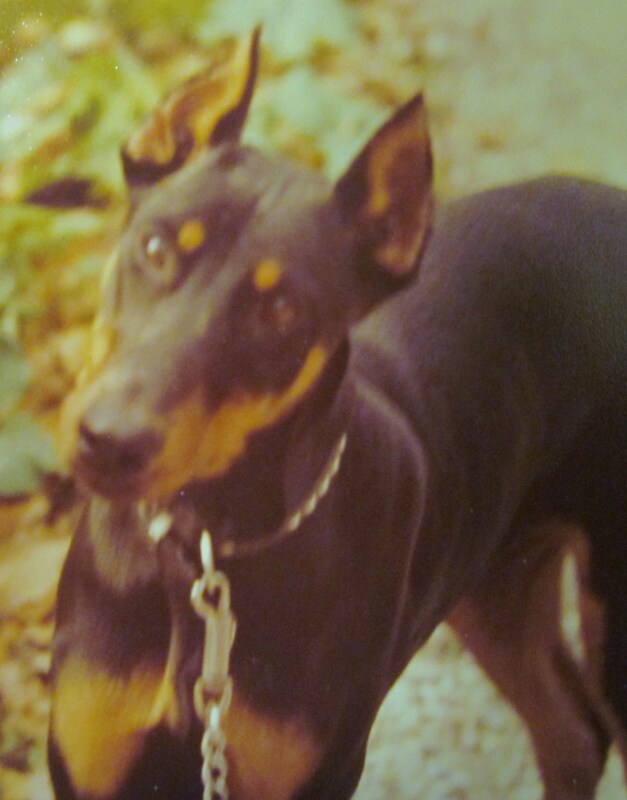 Posted in Uncategorized and tagged breeding, doberman, dogs, family, memoir, puppies. Bookmark the permalink. One day a few years ago, I noticed that I was being followed by ladybugs. There would be one on the wall behind my bed, then another one on my dresser, then out on the porch and on my wrist. I asked around, in case there was a surplus of ladybugs and everyone was having this experience and I was told, instead, that ladybugs are lucky. Now, I have not been an especially lucky person. I don’t win contests or get discovered in malt shops. I gain weight easily and get injured easily. I tend to wish on eyelashes more than I should. But these ladybugs kept following me around. 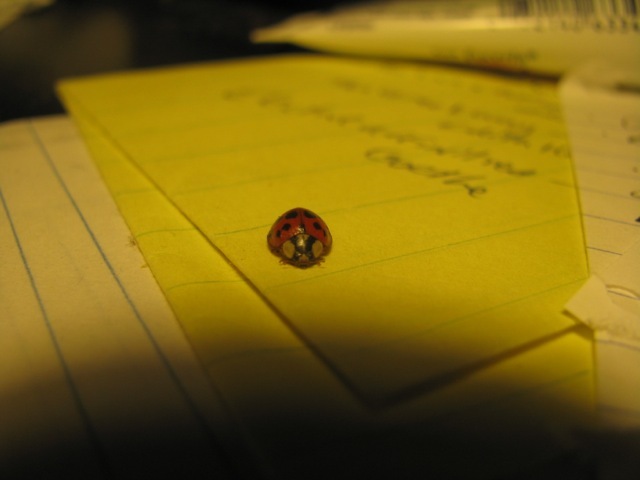 A few weeks ago, there was a ladybug on my bedside table for twenty-four hours. At first, I thought it had come here to die. It was so still. I tried to move papers out from underneath it, and it didn’t move. But then mom nudged it with a finger, because she’s braver than I am, and it lifted its wings for a second and then settled back down. Maybe it liked having the light of my table lamp aimed at its back, maybe it was doing a little light reading, or maybe it had something it wanted to tell me. I felt honored to be chosen like that. Honored to be the safe place for a ladybug to rest and recuperate or to pause before the next big journey. I wondered if my luck would change now that a ladybug had chosen me. But in the research I did online it said the ladybug has to land on your body to bring good luck, and she didn’t do that. She stayed for twenty four hours and then disappeared. 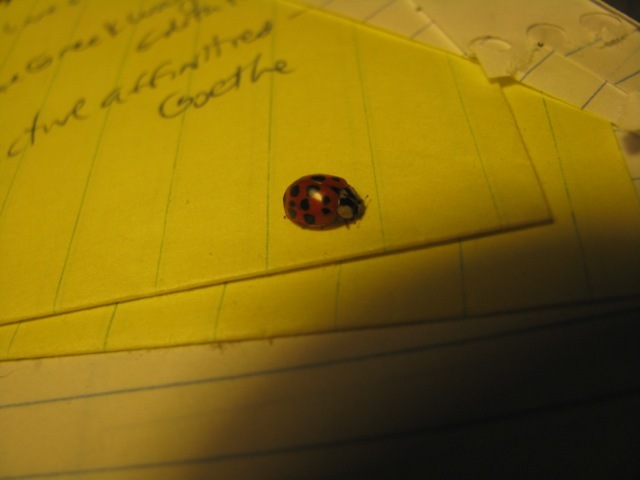 Then, just recently, the ladybug returned, crawling up the length of my red comforter, looking like she fit right in. She walked right up onto my hand and then flew to my shoulder and tried to crawl up my neck and into my hair. That was a bit too creepy for me. But is it the same lady bug? Is she persisting in trying to get her magic across to me? I would like to believe that. I would like to believe in the power of magical thinking, not just as an anti-depressant, but as an agent of change in the world. Just like prayer has been proven to have an effect, not just on the person who prays, but on the people she prays for, I want to believe the same about ladybugs. That just the act of wishing for and believing in luck can change the energy in the world, and change what happens next. Posted in memoir and tagged family, humor, ladybugs, luck, memoir, pets, prayers, wishes. Bookmark the permalink. 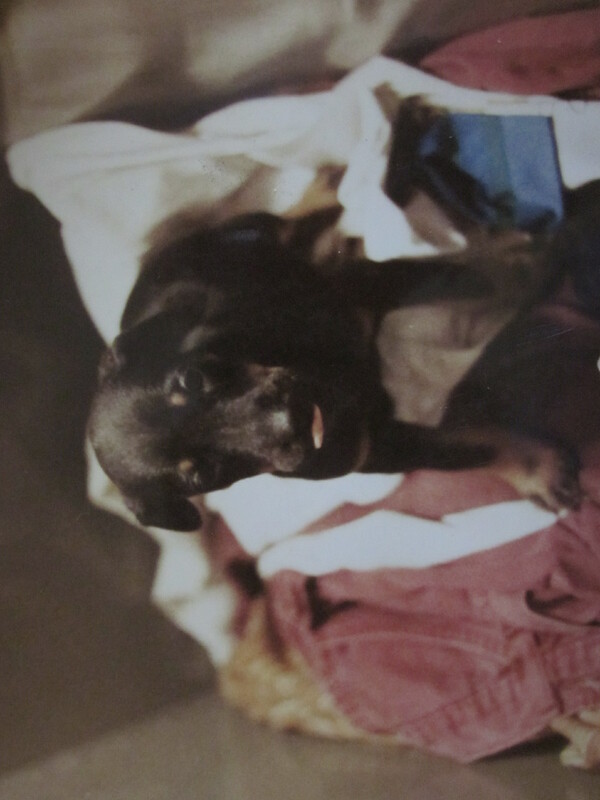 Solomon was the first significant dog in my life. We have no pictures of him, probably because he was never stationary long enough to be caught on film. He was a Doberman Pinscher with clipped ears and tail, and he was mythological in personality. He was a puppy when I was still in diapers, and he used to grab the used cloth diapers away from my mother before she could clean them. It was odd, looking back, for my Jewish father to be drawn to a pure bred, German dog. He came from a generation of Jewish people who refused to even buy a German car. But he liked the idea of a guard dog to protect his house, or his castle. As Solomon got older, he was a very handsome dog, but not kid friendly. He was eighty pounds of muscle and he only did what he wanted to do. He didn’t like cuddles or playing catch. He certainly didn’t want to play dress up with me. He had a habit of escaping from the backyard and leading a parade of cars trying to catch him as he ran down the street. One time, he ran away and took over someone’s lawn. He wouldn’t let the family into or out of their house for a whole day, until they were able to get to his name tag and call my parents to come get him. That’s probably when my parents called a trainer to help them manage him better. But the trainer said that my father’s aggressive response, jerking Solomon’s chain and yelling at him, and my mother’s very opposite submissive response, were the problem. And my parents knew they couldn’t change each other any more than they could change Solomon, so that was the last of the trainer. When Solomon was four years old, and I was five, he was diagnosed with Parvo. I looked up the parvovirus online recently, and the symptoms didn’t sound good: bloody diarrhea, vomiting, anorexia, lethargy, fever, and severe weight loss. He stayed overnight at the vet and they sent him home with medication and an uncertain prognosis. A few days later he was stretched out on our kitchen floor, listless. Our kitchen was very seventies, with orange and yellow wallpaper and a lot of light coming through the windows and the open back door. I sat on the floor with him. He was still alive but this vigorous, aggressive creature was wiped out by his disease. He was still and silent and he watched me solemnly as if he was finally seeing me. I don’t know what he was trying to communicate. Maybe he was asking me why he had to be so sick. Maybe he hoped I could make him better. Maybe he was just relieved to have someone with him while he died. My mother covered him with a yellow knitted blanket, and stayed with us in the kitchen. I don’t remember if she was cleaning the kitchen or making dinner but it seemed like she was keeping busy because she was too sad to look at him. I sat there next to him and patted his head and looked into his eyes and I felt like we were together in this. People underestimate what children can feel and understand, because children don’t have the words yet to tell you what they know. But I felt his grief and I stayed with him until he was gone, because that’s what I would have wanted him to do for me. 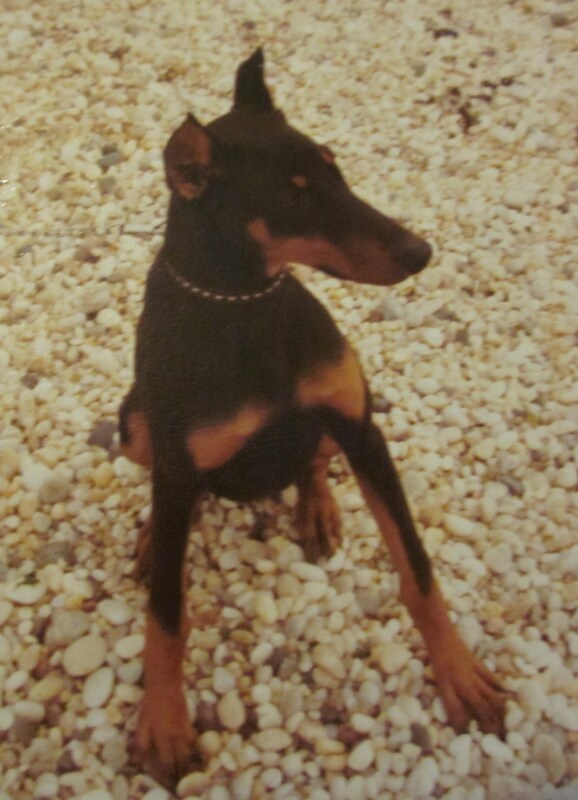 Posted in dogs, memoir and tagged children, death, doberman, dogs, family, memoir. Bookmark the permalink.